When money is tight, it is difficult to justify spending it on things that would make your home more beautiful. Your home, however, should be a sanctuary--a place where you can go to escape the stresses of the world. Your bedroom, especially, should be a restful retreat. You deserve to be able to decorate your bedroom just the way you like it, and there are ways you can do it without breaking the bank. Read on to find out how to create a new look without spending too much money. Paint it. Paint should be your best friend when you are on a tight budget. Paint the walls of your room a cool or warm gray-based color. Gray is quite popular and will instantly update your bedroom. Use spray paint to update old furniture or accessories. For example, you can purchase an old glass vase at a thrift store for pennies, then cover it with silver spray paint for a modern, sleek new accessory. Change up your bed linens. Linens can be expensive if you don't shop carefully, so wait for your local department store to have a "white sale," then head straight for the clearance bins. Also, consider using a blanket as a bedspread. It is a lot cheaper and comes in a wide variety of styles. Or, for a simple, clean look, dress your bed in sheets only, with a throw across the bottom. Add some throw pillows for a cozy, comfortable feel. Frame it up. 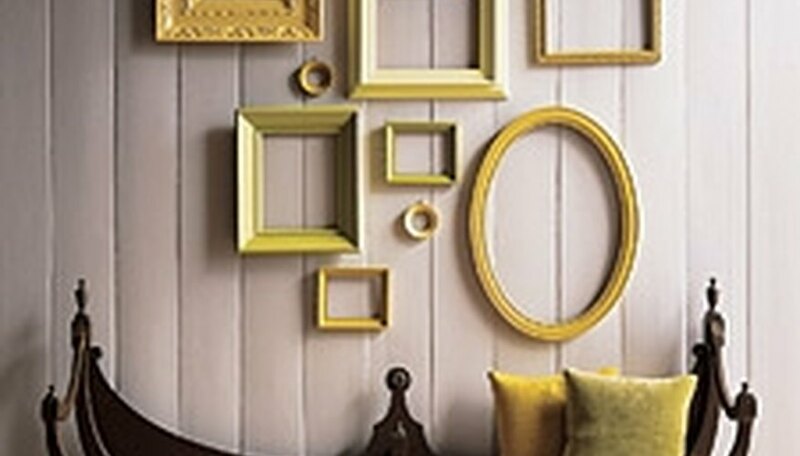 Frames can add a wonderful architectural detail to walls. Visit your local thrift store and purchase interesting frames. Do not worry about the color, or the pictures inside of them. Throw away the pictures and haul out your trusty can of spray paint. Paint the frames the same color for a uniform look and hang them on your wall. If you don't like the more modern look of empty frames, you can consider stenciling a letter or design directly onto the wall inside the frame. Get rid of clutter. This free step may seem simple, but is still hard for many people to do. Put those knick-knacks away, and consider banishing the television to another room. Modern bedrooms feature simple, clean lines and inspire silent rest--something a blaring television will definitely interfere with. Add a [rug](https://society6.com/rugs?utm_source=SFGHG&utm_medium=referral&utm_campaign=8775). A rug is relatively inexpensive, and adding a throw rug to your bedroom can really change up the look and feel of it. Add one with a bold, modern print under your bed for an eye-catching statement, or place a smaller, shaggy rug beside your bed for a soft place to land in the morning. Make a headboard. If your bed does not have a headboard, consider making one yourself. There are many ways to make a headboard, from simply hanging a curtain rod from the ceiling and draping fabric over it, to covering plywood with foam and fabric. A headboard will instantly update your room. See the link below for directions for making an upholstered headboard. If you find you have a little extra money, add a nice lamp. Splurging on one nice item for your room can make the rest of the room look expensive as well. How Can I Cover the Underside of the Mattress on the Top Bunk in My Kids' Bunk Bed?